Eirlys- From the Welsh name meaning “Snowdrop” This waspie is both practical and elegant, it makes the perfect discreet shapewear for warm weather and it is luxurious and supremely comfortable, moulding to you like a cool second skin. 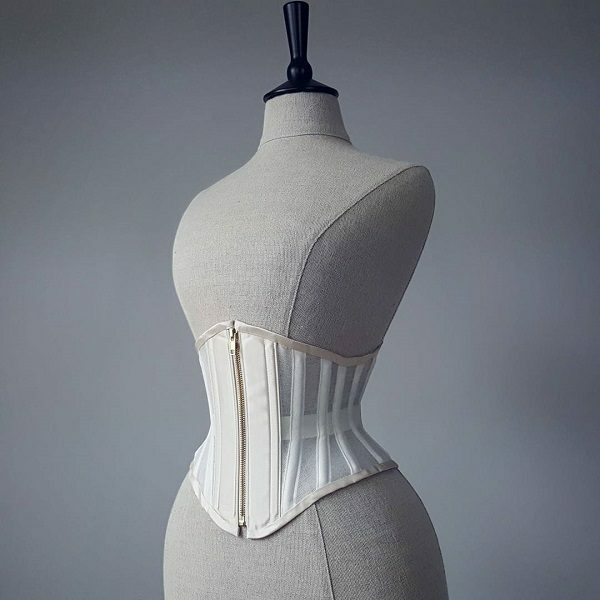 This luxurious, feather-light waspie is made with the traditional material used for Dior dress foundations, the silk mesh is cool and breathable for hot weather and is healthy against the skin for regular wear. 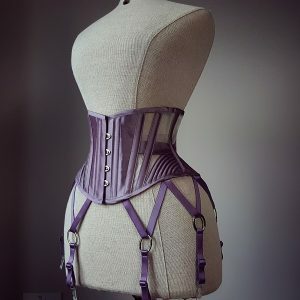 Rich, toning silk panels face the front and back of the corset, and you can select your preference of zip or busk fastening for your waspie. Top tip! 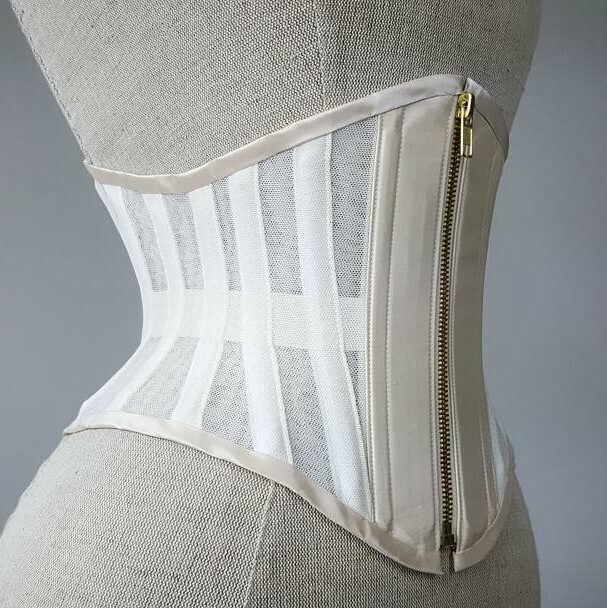 If you wish to use the corset for “stealthing” or discreet corset wear, choose a zip as they lie smoothly even under fitted clothing. 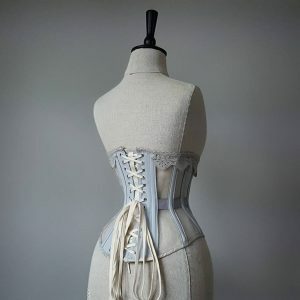 Boning is internal to keep the profile of the corset smooth, and it can be laced with light but strong cord to keep bulk at a minimum under clothing. 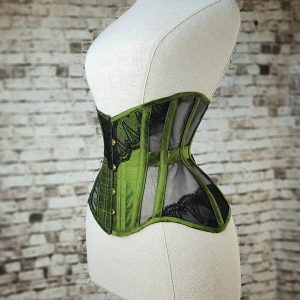 Silk mesh does not act like other corset materials- rather than being rigid and unstretching, it moulds and breathes with the wearer, which makes it perfect for people unused to corsetry (especially brides looking for shapewear!) 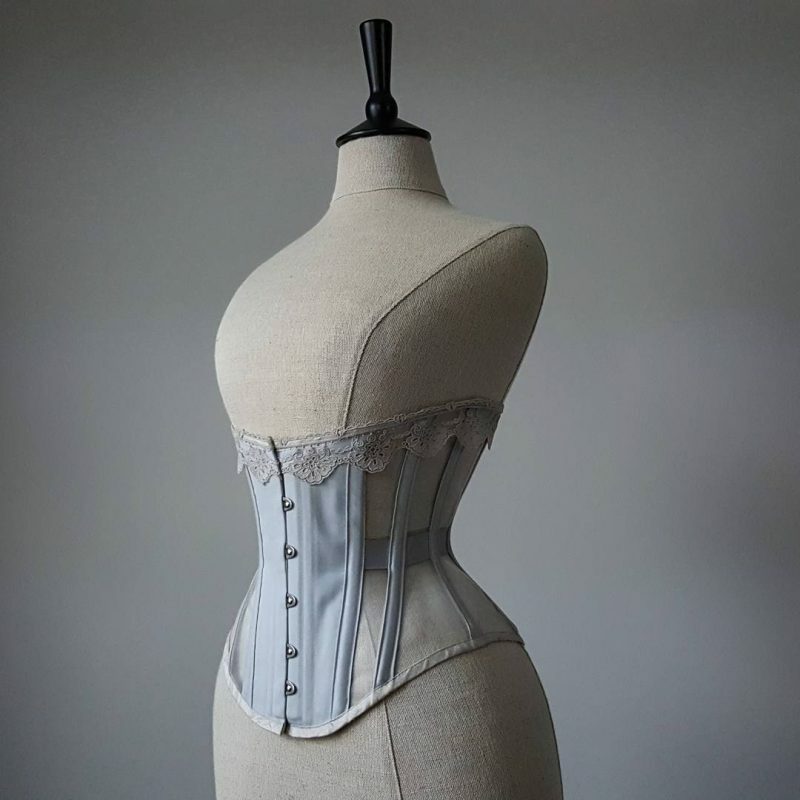 but also people who find restrictive corsets less appealing or comfortable. 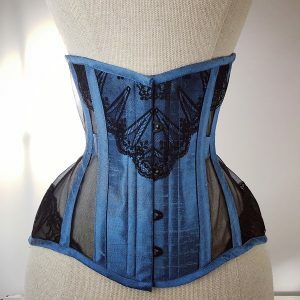 This is the ultimate comfort corset! The Eirlys waspie is intended for waist reductions of up to 4″ and is suitable for regular wear. 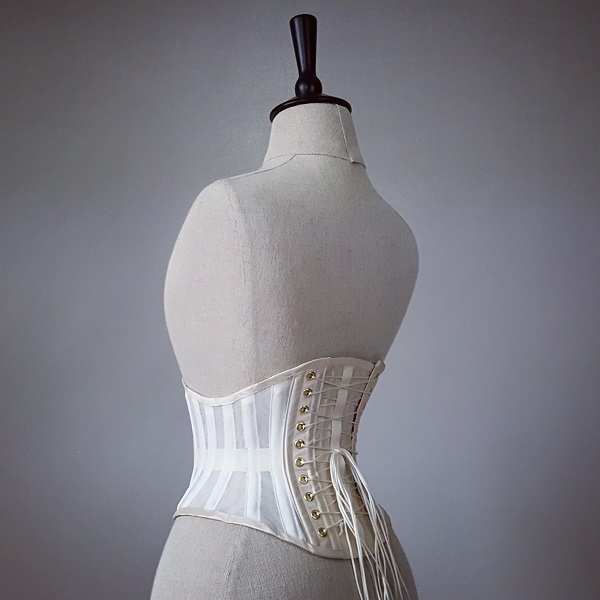 We generally suggest you buy a corset 6″ smaller than your natural waist size- this accounts for a 4″ reduction and a 2″ lacing gap. 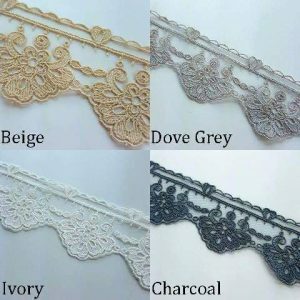 The sizing chart may help you choose your size but please contact us with any questions you have. A traditional busk fastening or zip in your choice of silver or gold. Finest quality two part eyelets and cord lacing. 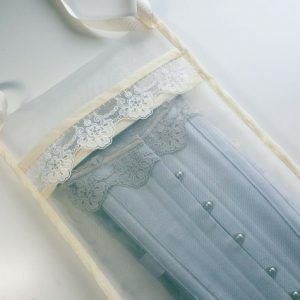 Boned modesty panel suspended behind the lacing. Silk covered coutil and silk mesh panels with internal boning channels.